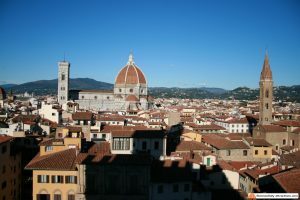 Welcome to the fifth of seven articles of this series about thenames used by the Medici family. 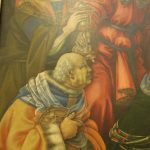 A family that, like many important families of the past, used to call their sons after their ancestors, creating a lot of confusion for us today, when we search for a clue in the Medici family tree. I already wrote articles to help with some of the most used names in the Medici family: Giovanni de Medici, Cosimo de Medici, Lorenzo de Medici, Giuliano de Medici, Ferdinando de Medici and Francesco de Medici. Today it’s time to speak about Piero de Medici. This is the most famous Piero de Medici, he was son of Cosimo The Elder and Contessina de Bardi and father of Lorenzo The Magnificent. He married Lucrezia Tornabuoni in 1444. As many members of the Medici family, Piero was unhealthy and developed gout, hence the nickname. He could hardly walk because of this, and needed to be carried most of the times. 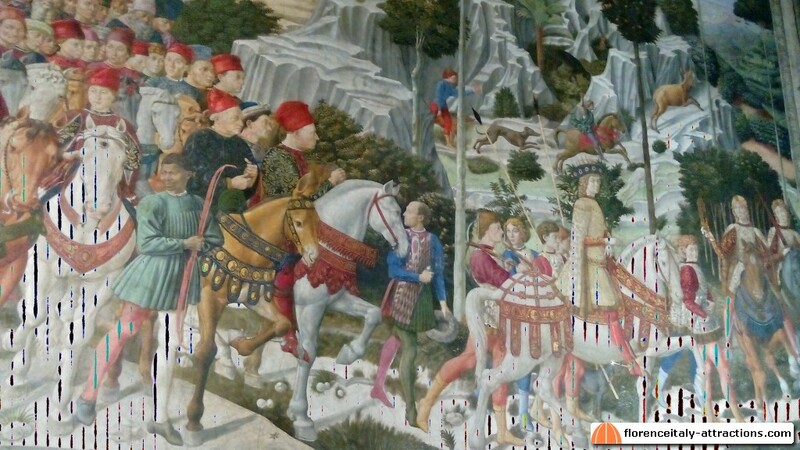 As the first-born of Cosimo The Elder, he was a great patron of arts, he’s remembered mainly for commissioning the Journey of the Magi by Benozzo Gozzoli, magnificent fresco inside Palazzo Medici where Piero is portrayed leading the parade (see picture to the left). 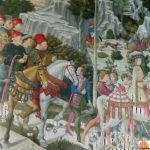 Piero didn’t have an easy life: despite being the first-born, his father preferred the younger son Giovanni and Piero de Medici inherited the family activities in 1464 only because his brother was dead before his father. Piero briefly became the ruler of the Republic of Florence: during his short dominance he had to face a conspiracy, led by Luca Pitti, a rich competitor who was building his own palace (larger than Palazzo Medici) right in those years. The conspiracy failed but Piero The Gouty died not much later because of his disease; his sons Lorenzo and Giuliano were just 20 and 17 and found themselves suddenly responsible for the government of the city. His tomb is a beautiful work of art by Andrea del Verrocchio, visible in the Sagrestia vecchia of San Lorenzo. Son of Lorenzo The Magnificent, grandson of Piero The Gouty, Piero The Unfortunate owes his nickname to the fact he was considered incompetent. He inherited the fading fortunes of the Medici family in 1492 and became the ruler of Florence. In 1494, the King of France invaded Italy to conquer Naples back to his dynasty. 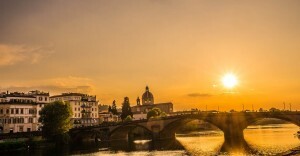 He took part of the territory of Florence and Piero acknowledged in order to save Florence from war. Thinking to be a savior, Piero de Medici came back in Florence where hostility grew so much that the Medici were banned from the city and Palazzo Medici sacked. Piero will never come back, he died fighting in the same war between France and Naples. Pietro de Medici (1554-1604): Pietro de Medici was the youngest son of Cosimo I de Medici Grand Duke of Tuscany and Eleonora di Toledo. He was an ambassador for the Grand Duchy of Tuscany and lived most of his life in Spain, accumulating many debts. He’s most famous for violently killing his wife and cousin Dianora, accused of adultery. Pier Francesco The Elder (1430-1476): he was the son of Lorenzo The Elder and Ginevra Cavalcanti, cousin of Piero the Gouty. He helped his uncle Cosimo The Elder to run the Medici bank, but after the death of Cosimo he was involved in a conspiracy led by Luca Pitti against his cousin Piero. Piero granted him immunity even after the conspiracy. Pier Francesco de Medici married Laudomia Acciaioli and they had two children: Lorenzo il Popolano and Giovanni il Popolano. 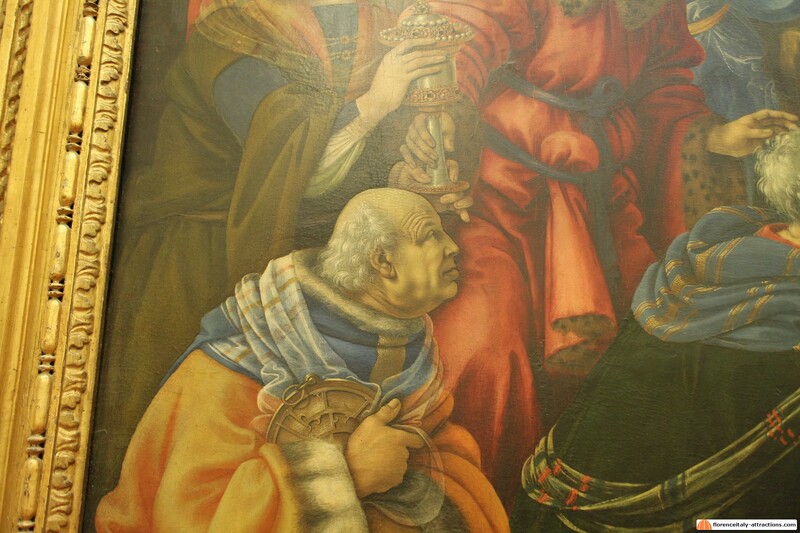 A famous portrait of Pier Francesco and his sons appears in the Adoration of the Magi by Filippino Lippi at the Uffizi Gallery. Pier Francesco The Younger (1487-1525): son of Lorenzo Il Popolano and Semiramide di Appiano, Pier Francesco de Medici was not involved in political affairs, only once he had an office as ambassador of the Republic of Florence. He married Maria Soderini; their son Lorenzino is famous for having killed the cousin Alessandro de Medici, Duke of Florence.